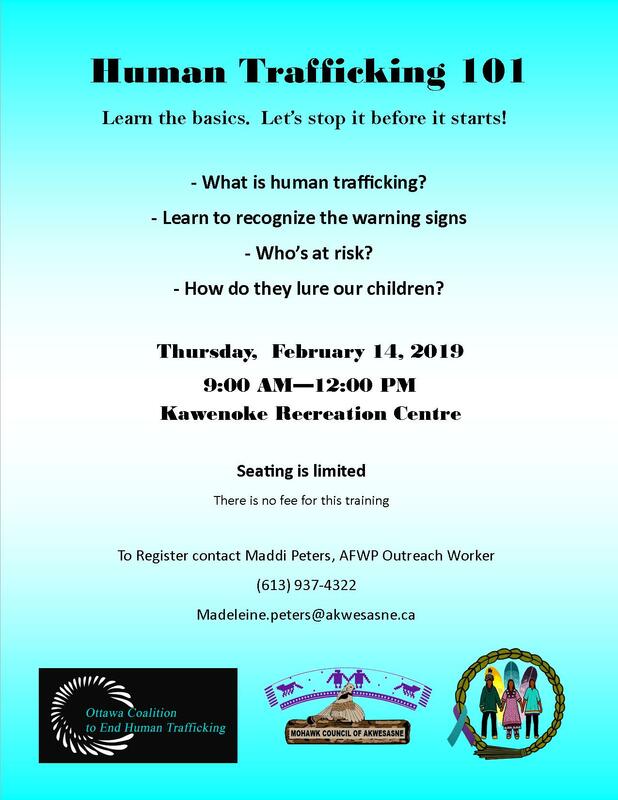 On Thursday, February 14 from 9 a.m.-12 p.m. at the Kawehno:ke Recreation Center, a training is being held to learn the basics of human trafficking and how to stop it before it starts! During this training you will learn: what is human trafficking, learn to recognize the warning signs, learn who is at risk, and how they lure children. Seating is limited. To register, please contact Maddi Peters, AFWP Outreach Worker at 613-937-4322.